He'll give up his happiness to help his people - but can he give up his soulmate? When Kem is called before the Shifter Council, he's told he needs to marry to secure an alliance for them. There's only one problem; a year ago he met a woman he can't forget. After meeting a mystery man a year ago, Lia has a secret. One that she can't even tell her sister, Aella. When fate brings the two of the back together, even the most carefully laid plans get disrupted. 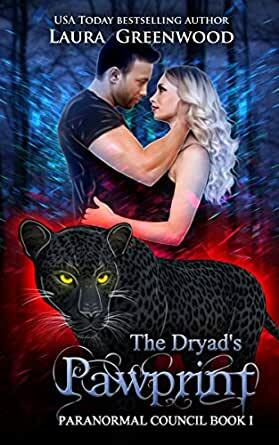 The Dryad's Pawprint is book one in the completed Paranormal Council series. It is Kem and Lia's full story.